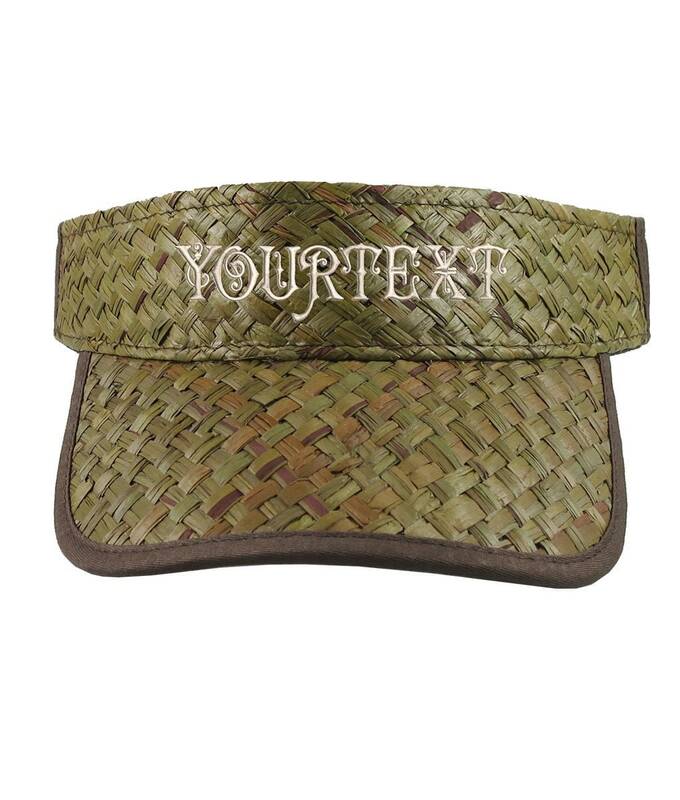 A custom personalized embroidery on an adjustable comfy, olive green fashion straw visor. 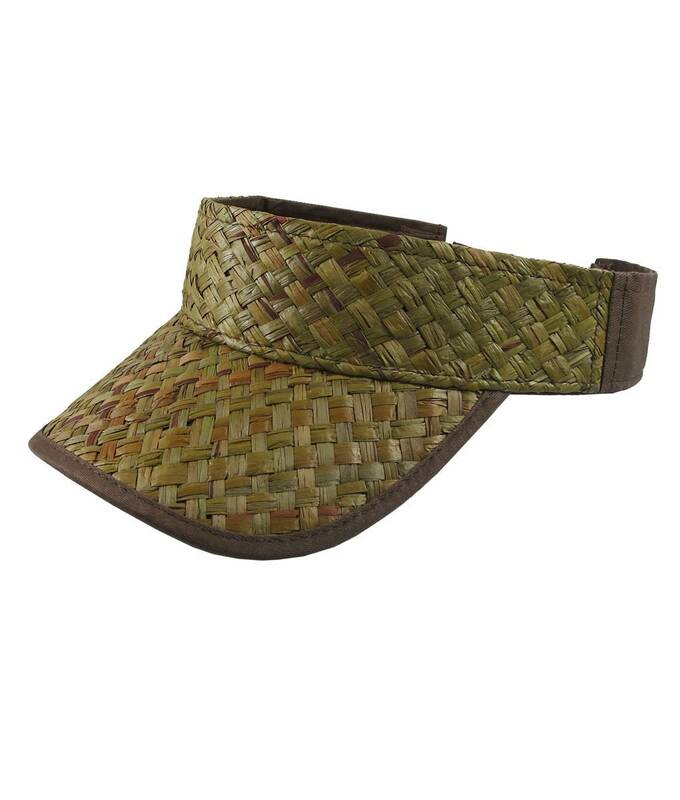 This summer hat is sure to make an impression on or off the beaten paths. Use your buyer's note text field you see when you checkout to give your text information to be embroidered on this visor. 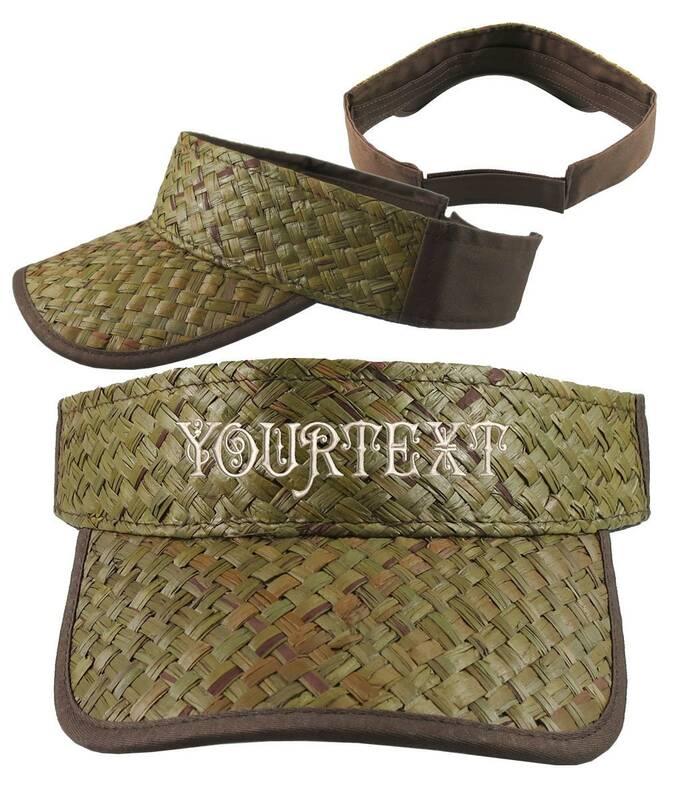 It has to be a short text, word, name, number, etc. 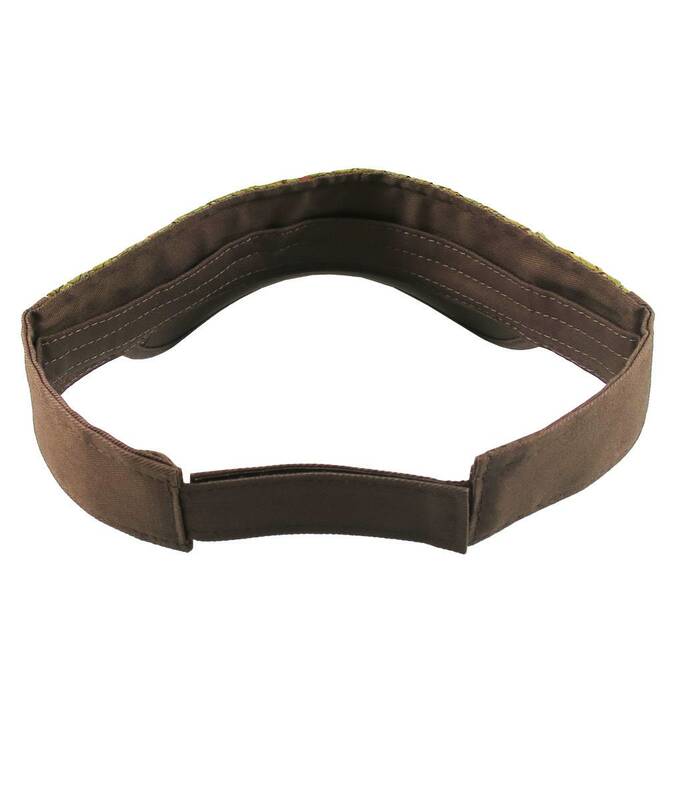 Short and one line to fit the visor small crown. The shorter the text the larger the embroidered letters.